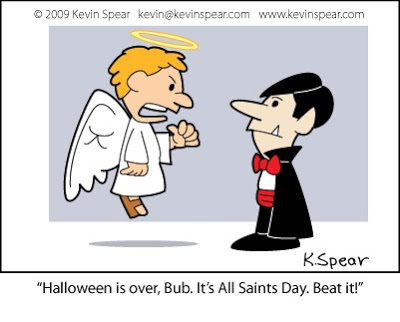 All Saints Day in our Catholic Faith!! All Saints’ Day is a solemn holy day of the Catholic Church celebrated annually on November 1. 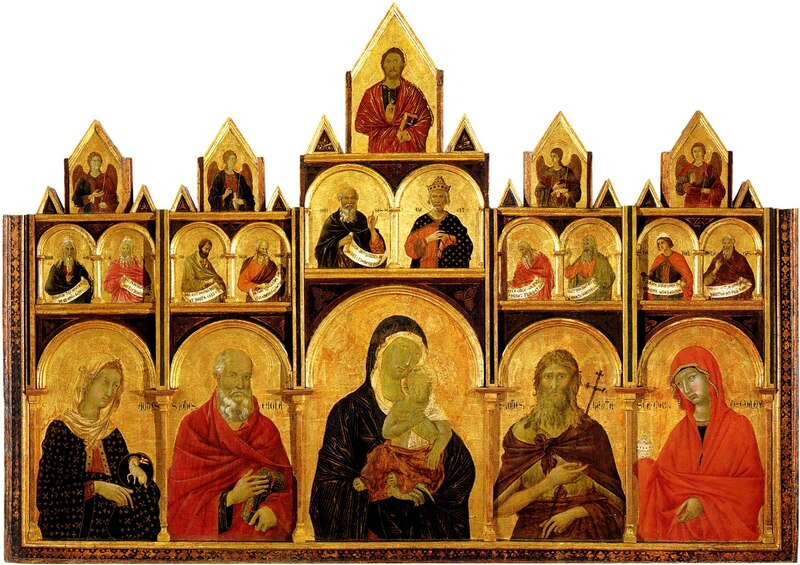 The day is dedicated to the saints of the Church, that is, all those who have attained heaven. Holy day customs vary around the world. In the United States, the day before is Halloween and is usually celebrated by dressing in costumes while children go door-to-door, “trick-or-treating”; which is soliciting candy from their neighbors. Our pastor, Fr. 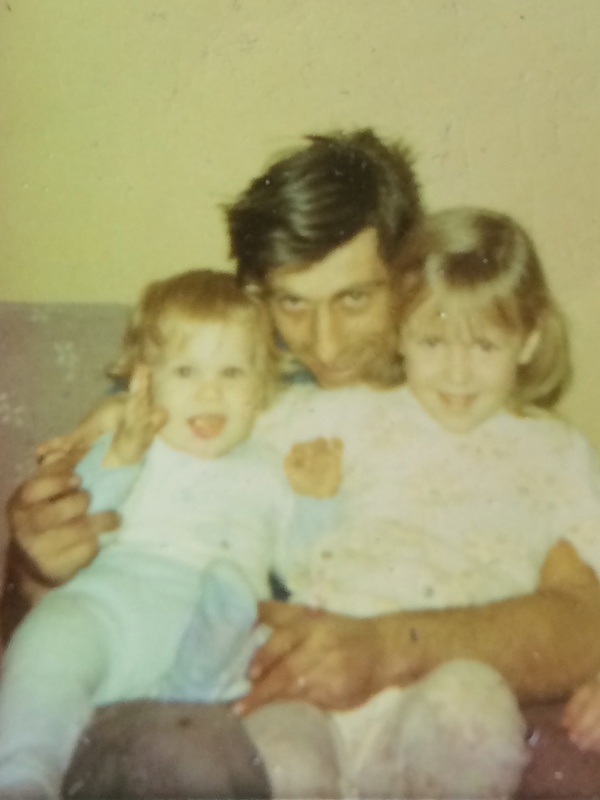 Larry Richards, reminded us in our Weekly Parish Bulletin, “There is only one tragedy – not to be a Saint! Each of us are called to be Saints. This should be our number one goal in life… Being a saint is NOT just for the “spiritual super heroes” it is for all of us! In the Roman Catholic Church, the next day, All Souls’ Day, specifically commemorates the departed faithful who have not yet been purified and reached heaven. 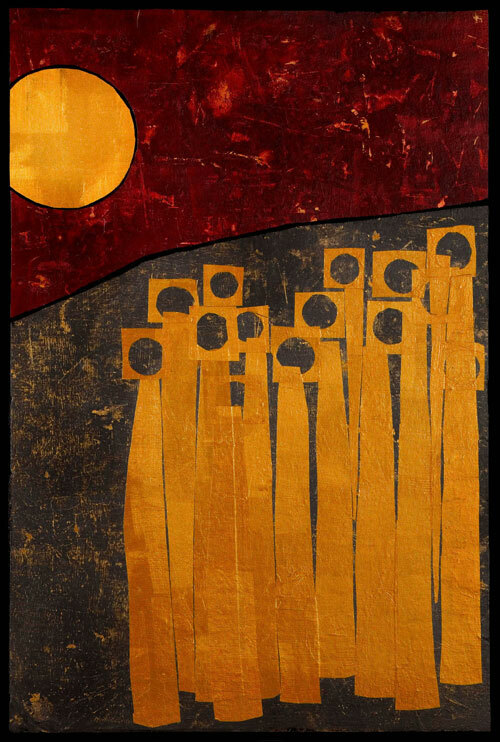 Catholics celebrate All Saints’ Day and All Souls’ Day in the fundamental belief that there is a prayerful spiritual communion between those in the state of grace who have died and are either being purified in purgatory or are in heaven (the ‘church penitent’ and the ‘church triumphant’, respectively), and the ‘church militant’ who are the living. 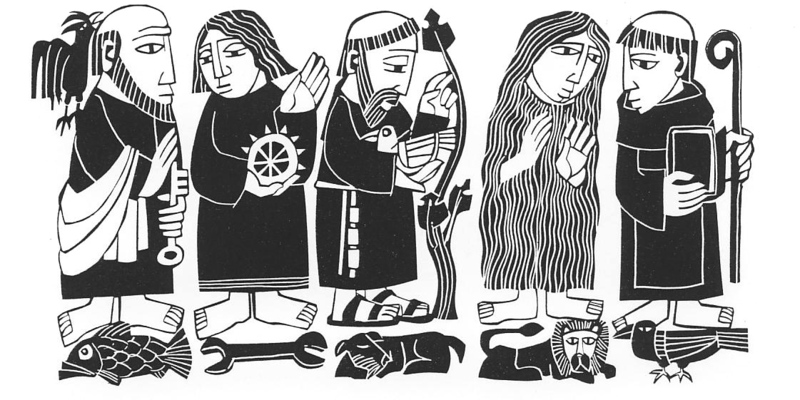 Other Christian traditions define, remember and respond to the saints in different ways. Their differences fit just right to the same God who loved them all. 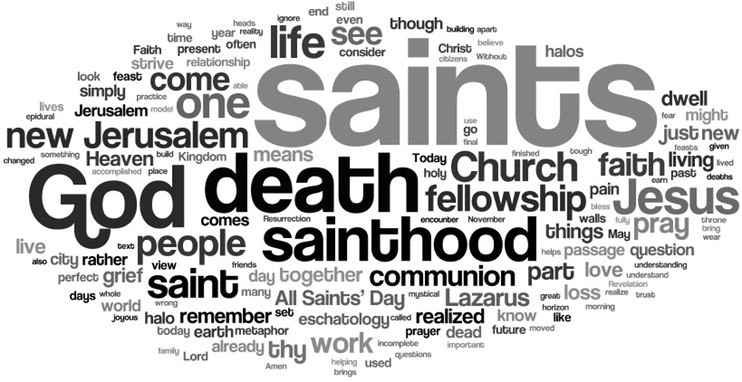 May you have a solemn All Saints Day! And a Prayerful All Souls Day too! 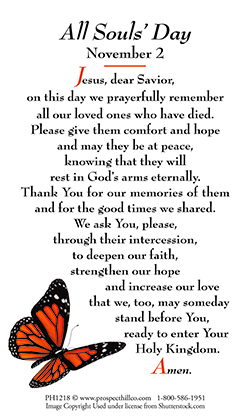 hugs n’ blessings to all those we continue to pray for, both living and deceased!